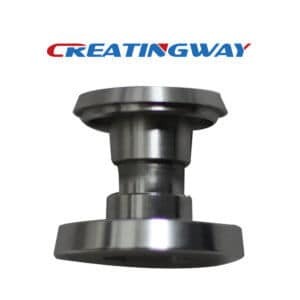 Creatingway provide you bike parts CNC machined production capability, we own more advantages CNC machine centers and milling machines to services your projects, and our professional engineer team are closely work with you for your projects in order to ensure each of details meet requirement, we have been worked more bike parts like wheel, axis, frames components. Bike wheel and Bike Frame. Material: 303SS Stainless Steel/6061T aluminum. Finishing: Anodizing and Power coating. Parts machining process: CNC machining, welding, polishing, coating. Parts size: OD315 wheel and Frame 660*580*75mm. Own 6 CNC machining center and 6 milling machines. 3 sets larger CNC machines, 2 sets larger Lathe and 2 sets grinding machines under 0.005mm tight tolerance. After most of bike parts CNC machined, we will provide good finishing like anodizing, power coating and silk-screen. Bike Wheel OD315, after CNC larger and lathe, we will have polishing and hard anodizing process to make it to aesthetic. Bike frame: We have cnc machining center to complete and tube is welding together, then polishing and power coating to make its surface perfect, final we will have silk-screen its Logo. Most of bike parts cnc machined machining included rapid prototype and volume production, when we make 1-3 prototype, we have to consider use larger CNC machines and lathes to machining them, and have after machining finishing process. In order to consider whole cost, we have to further consider to use casting tooling then machining process to complete. Bike parts need us to further consider whole process from single part machining, welding, coating and assemble, this is one very complex process. We are dedicated in rapid prototype and low volume production for bike parts CNC machined, and provide fast feedback and delivery to you with high quality. We want to make whole industry bike parts cnc machined for you, provide you customized parts whatever you will need 1pc or more 10pc, we can meet your requirement. When you have these bike parts cnc machined inquire or customized parts, you can send out inquire to below email address so our engineer team will discuss with you on each of production details, whatever you will ask 1pc or more 100pc, we will make best support to you based on cost effective, tell us your requirement or expection, our team will make it for you. You can start one new project now.